Apple Music is one of the most popular streaming music services in the world. It is a monthly subscription, which offers the registered users three-month free trial period. Subscribers can access to the entire Apple Music catalog, listen to any music you've purchased, listen to Beats 1 radio, save Apple Music songs to your library and listen offline, upload Apple Music tracks to iCloud Music Library for access on all your devices. Apple Music is compatible with iOS devices, Android devices and Apple TV with Music app installed. 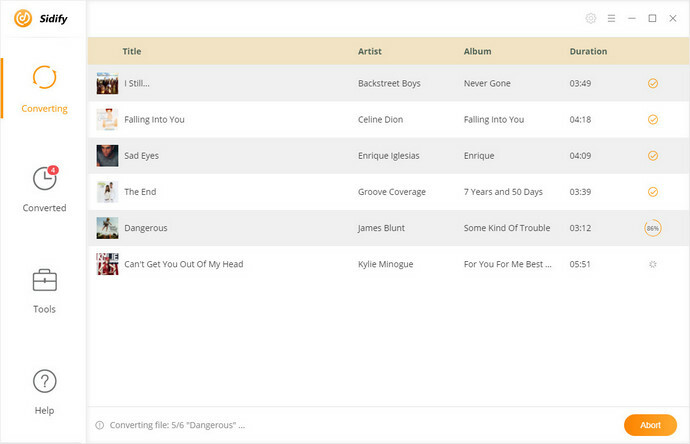 Besides, members can access to Apple Music library via iTunes on Mac or Windows PC. Apparently, Apple Music files can't be played unless iTunes and Apple Music apps used. That's because all the Apple Music files downloaded from Music app are protected by Apple's Fairplay DRM protection, which prevents the subscribers from transferring and playing the Apple Music tracks on other devices and media players. 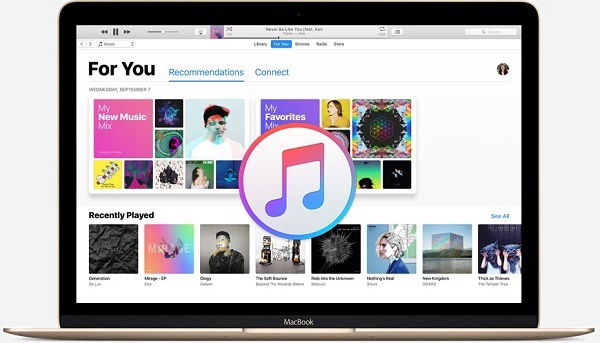 Remarkably, on the 2018 WWDC conference, Apple announced that Apple Music subscribers can listen to songs from a computer using a web browser without having to fire up iTunes. However, it's not a full-blown iTunes replacement yet. The performance is not steady. So is there any other way to play Apple Music without iTunes on computer? Don't worry, once the DRM is removed from the downloaded Apple Music tracks, you can easily enjoy Apple Music files on your computer without iTunes. 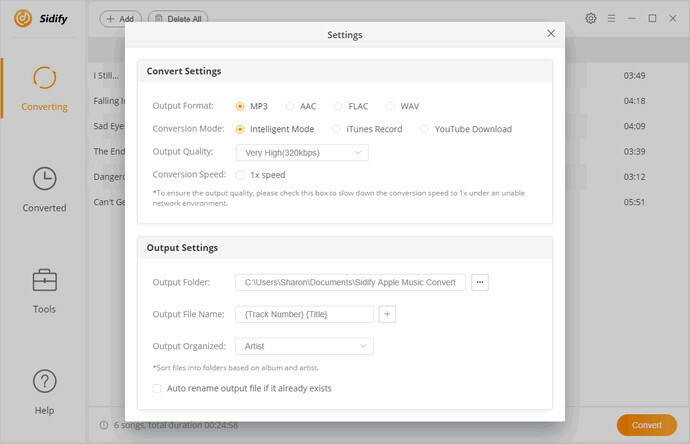 Sidify Apple Music Converter, a professional iTunes DRM Removal tool, enables you to get rid of DRM from Apple Music by converting them to unprotected MP3, AAC, FLAC or WAV. In this way, you can transfer Apple Music tracks from iTunes and save them on your computer. 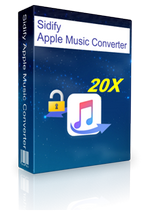 It is a multi-purpose Apple Music Converter for both Mac and Windows users. Besides, it can also support converting iTunes purchased music, iTunes M4B / M4A and Audible AA / AAX audiobooks to the popular audio like MP3 and AAC. 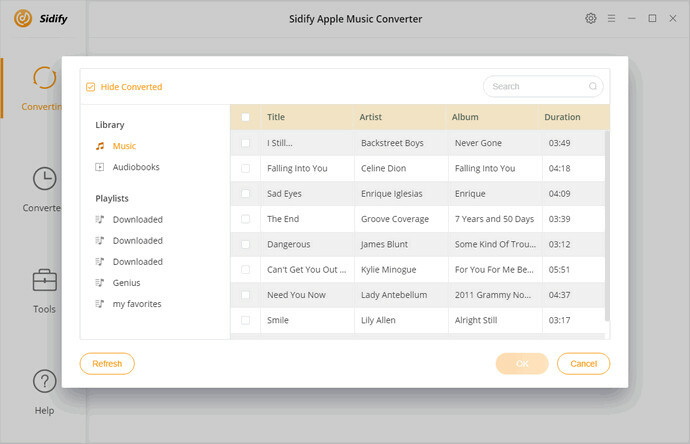 With Sidify Apple Music Converter, you can listen to Apple Music files on multiple non-apple devices, including Android tablets, common MP3 players, game consoles like PS4, Smart TVs, etc. Before you get started, please make sure that you have downloaded the Apple Music songs on iTunes. Then refer to the following tips to learn how to remove DRM and convert Apple Music for listening on computer without iTunes. Download, install and launch Sidify Apple Music Converter on your computer, click the + button on the top left of the main interface, you can select tracks from iTunes library pop-up window and click OK to load them to the program. Click Settings button on the upper right of Sidify interface to choose the output format you prefer, and here are MP3, AAC, FLAC and WAV for you to choose from. If necessary, you can change the output quality up to 320 kbps and output path. Finally, simply click Convert button to start removing DRM from Apple Music and convert those songs to common audio format you want. When the conversion completed, you can find the DRM-free music files on the history folder. Now, you can listen to these converted Apple Music songs on computer with the common media player, like Windows Media Player, VLC Media Player and so on.